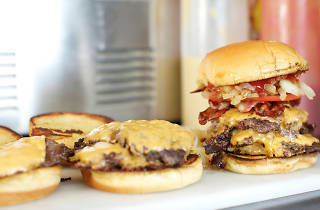 Formerly parked in tucked-away Mill Basin, Brooklyn, this serious burger truck quickly achieved a cult status among patty aficionados that has propelled it onward and upward to easier-to-access Williamsburg. 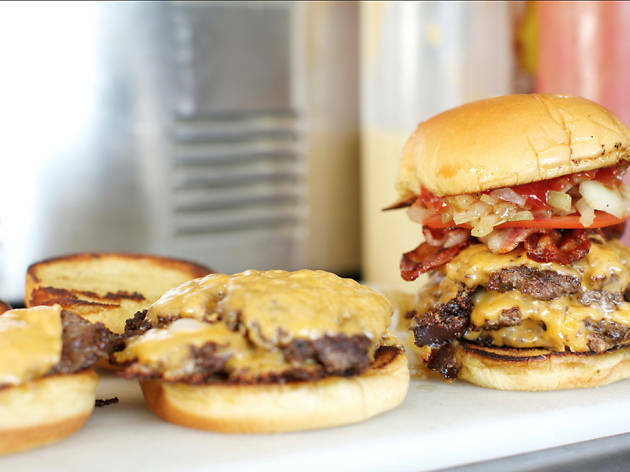 Ground beef purist Andrew Zurica now slings his improbably juicy single-, double- and triple-stacked burgers from behind the Pfizer Building. Get 'em hot with free raw or grilled onions, lettuce, tomato, pickles and jalapenos, or pony up an extra $1.25 for a helping of crisp bacon.